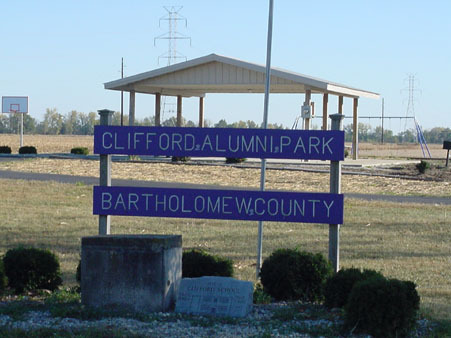 The Bartholomew County Parks and Recreation department seeks to enhance the quality of life and the environment; to acquire, conserve, and protect natural resources; and to provide leisure time opportunities for the benefit of Bartholomew County’s present and future citizens. The most basic and necessary function of the County Park Board is to outline proposed goals and objectives which will provide the framework and direction within which the board will direct its future land acquisition, development, and recreation programming. The board is responsible for managing and maintaining the park system’s 12 facilities and over 144.5 acres. 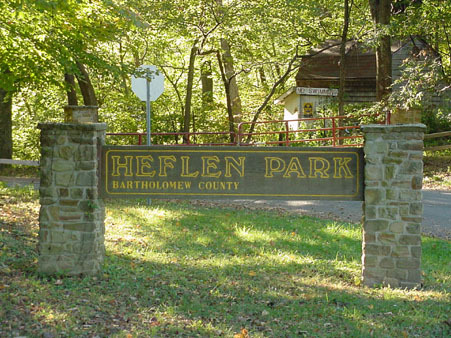 This 44 acre natural outdoor recreation area offers a picnic area, trail system, and nature walk. 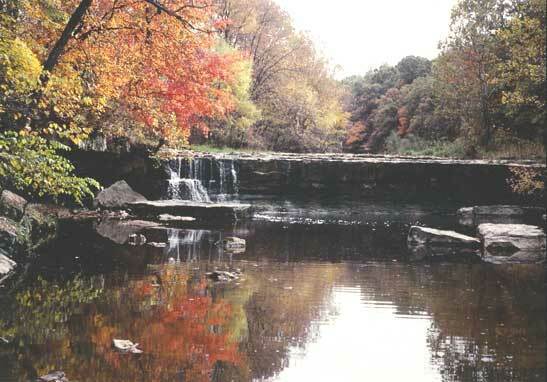 Outcroppings of limestone and the falls over Clifty Creek provide scenic splendor and photographic delight. 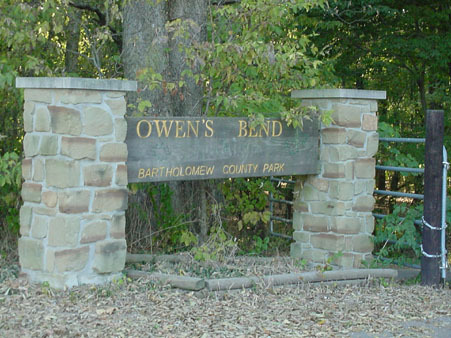 The park is located in County Road 1140 E off State Road 46. 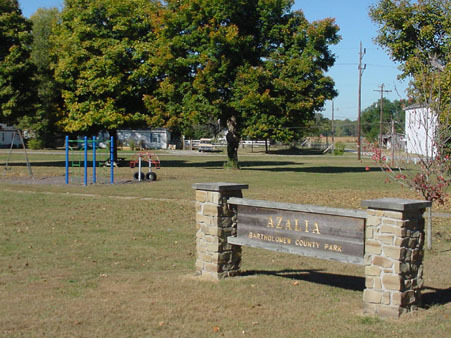 This city block size park is located in the town of Azalia. It offers an open area for soccer, basketball courts, horseshoe pits, playground, and trails. This is the County's newest park and is located at the site of the old Clifford Elementary school near County Roads 550 N and 350 E. The park offers a playground, shelter, and trail. This park is the center for county softball and baseball activities. 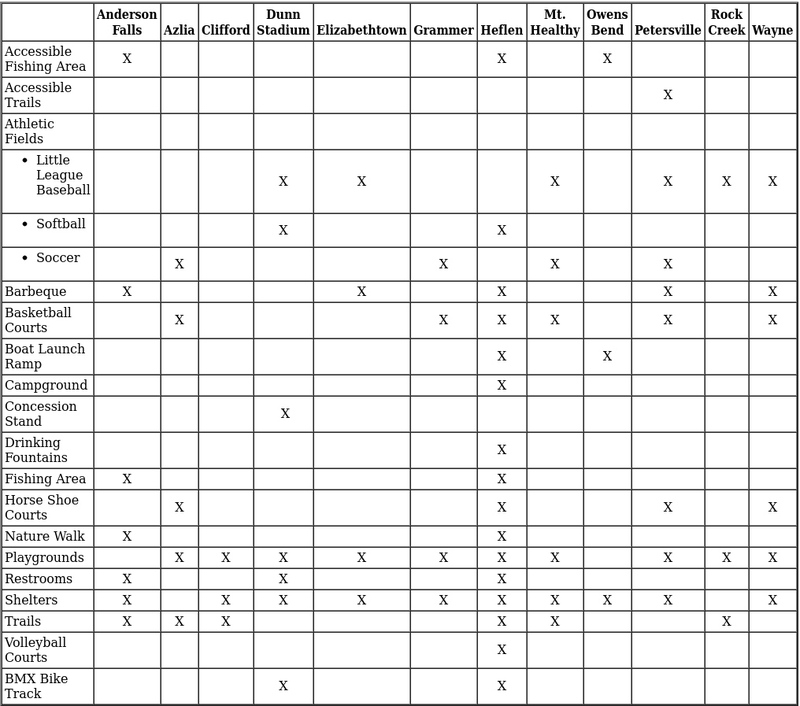 It includes four lighted diamonds, concession stands, playground, and shelter houses. The latest addition to the park is a BMX Bike Track. 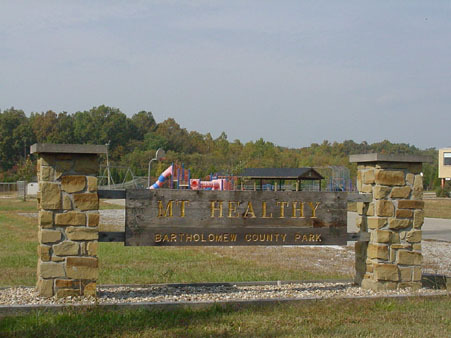 The park is located off State Road 11 just north of the 4-H Fairgrounds. 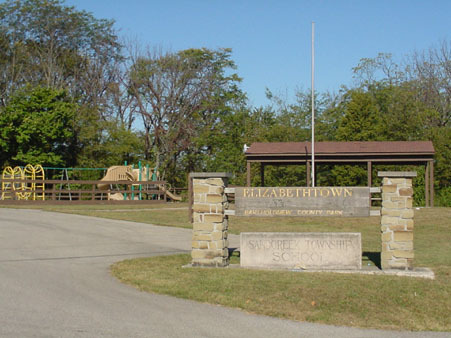 This park is located at County Road 525 E and south of Elizabethtown. It includes a little league diamond, playground, and shelter. 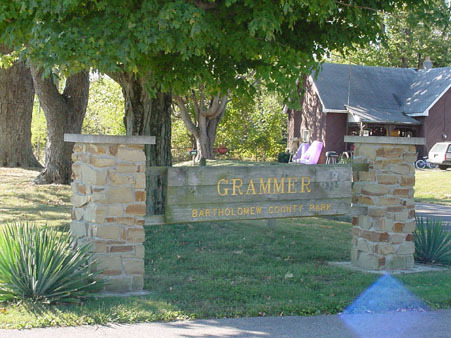 This four acre park is the site of the former Grammer school building and was donated by the Bartholomew County School Corporation. It contains an open area for soccer, basektball courts, playground, and a shelter. The park is located on county Roads 1000 E and 300 S.
This 35 acre park includes an overnight campground, two shelter houses, fishing lake, hiking trails, basketball, volleyball, and horseshoe areas, as well as an all-purpose playing field. The park is open to the public from Memorial Day weekend through the end of September. -$5.00 deposit for each site. Deposit refunded at checkout if site is clean. Before Season/After Season Specials - Reserve ENTIRE park and campground for private use for 24 hours for $650. Perfect for graduations, weddings, birthdays, anniversaries, and family re-unions. Invite the whole family to stay. 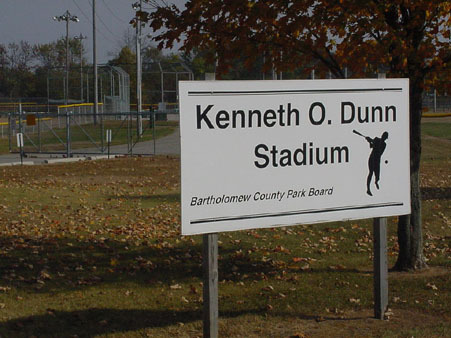 This park is a joint venture with the Bartholomew County School System and Township Trustees. This twenty-seven acre park is located at Mt. Healthy School in Jackson township on State Road 58 just north of County Road 750 S. The park features a little league diamond, a playground, an open area for soccer, shelter, and basketball courts. This park is located on County Road 550 N and River Road. An Indiana State Waters Grant from the Indiana Department of Natural Resources made it possible to build a boat launch, shelter house, and accessible trail. During the off-season and when accessibility to the parking areas is not possible due to flooding or when mud and debris is left by flooding, the park gate is closed. Those wishing to fish during this time period may park their vehicle near the park entrance and walk down to the fishing areas when they can be safely accessed on foot. 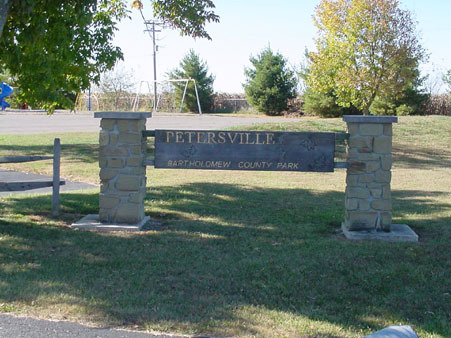 The park is located on the entire site of the former Petersville School at county road 550 E just north of 25th street. It features non-lighted little league diamonds, an all-purpose field suitable for soccer and football, a picnic area and shelter, basketball courts, horse shoe courts, playground and accessible asphalt fitness trail. The park is located next to the Rock Creek elementary school at county road 200 S and State Road 46. 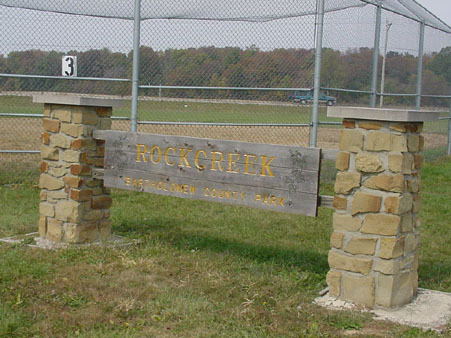 The park shares ball diamonds, playground, and trail with Rock Creek elementary school. This 11.5 acre park includes two non-lighted little league diamonds, picnic area and shelter, playground, horseshoe courts, basketball area and accessible trail. 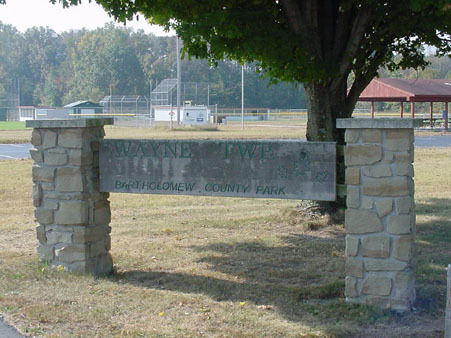 The park is located at the former school site of Wayne School near county road 550 S and State Road 11.